i'm testing a new method, a different method of invitation creation. i am looking to expand my customer base and reaching out through etsy (if they didn't make it so freaking easy i might be tempted to actually set up my own site). 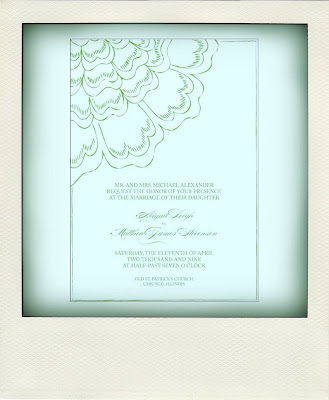 custom wedding invitations with all of the service and design, and only a bit of the cash. let's face it, the times are tough and weddings are, um don't kill me, one of those unnecessary indulgences. i mean they are great and wonderful and so worth whatever you spend on them (most of the time) but not every one can swing the high prices that tend to reside in the world of custom paper products. so ... that is where pretty pretty paper comes in. 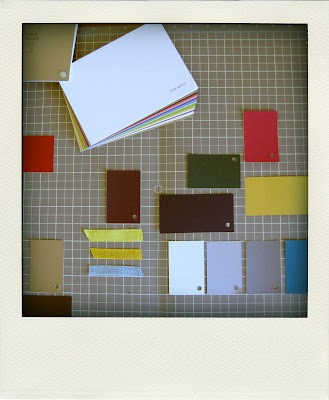 the choices are screenprinted or digitally printed on your choice of paper in your choice of ink color(s). you and i work together tirelessly to create the PERFECT invite for you and about 2-4 weeks after final proof approval you have your lovely one of a kind invites in your hands ready to be sent out. so if you or anyone you know might be interested in a little something special to send out to your nearest and dearest then please click on over to the etsy site to see what there is to see. and keep in mind that EVERYTHING is custom. so if you were hoping for a square invite but i only have rectangular listed ... just convo me. custom really means you get what you want. Good thinking! I love these. seriously, an awesome idea. people want cute things and can't spend the money, you know? so fill the niche! and it's great to offer fancier printing to those who want it. good luck!